Kids are gross. I love my own kids, but they are also pretty gross sometimes. A lot of the "gross" comes from things that all kids should be doing: sharing toys, playing outside, learning/exploring insects, etc. But with the sharing and playing can come some sickness as well. That is why I am always interested in learning more about products for children that contain probiotics. 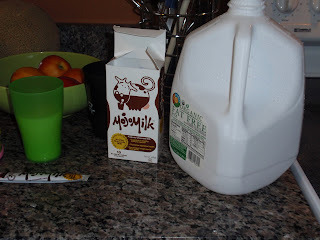 When I came across MojoMilk, I had to have my kids try it. Especially because it is a chocolate milk mix. MojoMilk contains more than 10 times the amount of probiotics than most yogurts. It also has 60% less calories than the leading chocolate milk mixes. But most of all, it supports a healthy immune system and promotes a healthy digestive system. If you go to http://www.mojomilk.com, you can register for a free sample. Four out of Six of the kids that tried MojoMilk really liked it and would have it again. That's good for me! "10 times the amount of probiotics than most yogurts"? Bacteria are not necessarily probiotics. A bacteria is only a probiotic if there is a demonstrated health benefit. Yogurt has bacteria and a couple have a probiotic bacteria. Don't be fooled by their marketing...believing that this mix improves immunity in children suggests evidence-based review is lacking here. Basically, there are many different types of probiotics. This product had more probiotics than your average yogurt. The reason why probiotics are helpful is because for many, they help with gut integrity. The majority of your immune system resides within your gut. 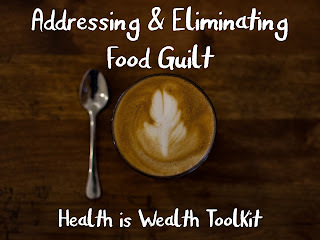 Marketing aside, if you have kids who's parents allow them to eat low nutrient foods, as many parents do- such as the McDonald's diet, then the mojo milk isn't' a bad idea, if they like the taste. If you would, please post a link to evidence-based research that suggests otherwise.